I have strong background in general corporate legal services, and after studying in the United States, I especially have gained experiences in tax services such as tax litigation, tax risk analysis, etc. Through working as a national tax trial examiner at National Tax Tribunal for the last 3 years, I obtained more knowledge within the national tax organization. Making the most use of these experiences, I will endeavor to deal with general corporate legal services, including tax services, and support our clients. The transcript of the lecture delivered by Sato Shuji titled "Taxpayer Winning Cases concerning Transfer Pricing Taxation and Capital Transactions" and the transcript of the lecture delivered by Mutou Yuuki titled “How to Deal with Compliance Issues Arising from ‘Concealment of Income’” appear in March 2019 issue of Sozei Kenkyu. Sato Shuji authored an article titled "Looking back on the Past 20 years of Financial Institutions and Tax Litigation" which appears as the 12th article of the series "At the Base of Laws" on page 2 of Kinyu Keizai Shimbun on March 4, 2019. Sato Shuji's commentary titled "Cabinet Office Ordinance Partially Revising Part of Cabinet Office Ordinance on Disclosure of Corporate Affairs, etc." is available on the Shoji Homu Portal Site. The transcript of the lecture delivered by Sato Shuji, Mutou Yuuki and Yamashita Takashi, a licensed tax accountant, titled "What is Tax Compliance Now Required? - From the Viewpoint of Cooperation between 'Tax' and 'Legal' -" appears in December 2018 issue of Sozei Kenkyu. Sato Shuji's dialogue with Kimura Hiroyuki, attorney of Yodoyabashi & Yamagami Legal Professional Corporation, titled "Request Assistance from Tax Lawyers" appears in December 2018 issue (VOL.66/NO.13) of Zeimu Koho. Sato Shuji's commentary titled "Panasonic Receives and Responds to Notice of Correction from the Osaka Regional Taxation Bureau" is available on the Shoji Homu Portal Site. Sato Shuji authored an article entitled "Impact of Judgement Pronouncing that Order for Enforcement of the Corporation Tax Act is Illegal and Invalid" which appears in September 2018 issue (VOL.66/NO.9) of Zeimu Kouhou. A book entitled "Corporate Legal Strategy for Tax Compliance" is published by Minjihokenkyukai Co., Ltd., which is edited by the Research Division of Tax Suit Practice that forms part of the Comprehensive Legal Study Center of the Dai-ichi Tokyo Bar Association. Wakabayashi Shigeo, the President of the Dai-ichi Tokyo Bar Association, writes a preface for this book. In addition, Sato Shuji, as a member of the editorial committee, and Suzuki Masato and Mutou Yuuki, as authors, contribute to the publication. Sato Shuji authored an article entitled "Quick Report of Tax Precedents: A Case in which Provisions of an Ordinance regarding Deemed Dividends were Determined as Illegal/Void" which appears in Jurist No. 1521. Sato Shuji's commentary titled "The Ministry of Health, Labor and Welfare's Website for the Realization of 'Work Style Reform'" is available on the Shoji Homu Portal Site. Sato Shuji's article titled "Summary of Case on Losing Horse Race Tickets - 'Collaboration' of Tax and Legal Affairs is Needed" appears in June 2018 issue of Zeimu Koho. Sato Shuji's lecture entitled "Tax Cases and Supreme Court - Denso Case as Example" appears in March 2018 issue of Sozei Kenkyu. Sato Shuji authored an article entitled "Latest Trend and Outlook of International Tax Suits" which appears in Jurist No. 1516. Sato Shuji and Mutou Yuuki co-authored with Yamashita Takashi, a licensed tax accountant, an article entitled "Introduction to Corporate Governance on Tax Matters (6): Importance in Tackling Various Problems withTransfer Pricing from the Legal Perspective" which appears in April 2018 issue of Business Houmu. Sato Shuji's dialogue with Yasui Kazuhiko, licensed tax accountant and former Head of Yokohama Branch of Tokyo National Tax Tribunal, entitled "Learning from Reversed Court Decisions - Desired Role of National Tax Tribunal and Recent Trend of Tax Suits " appears in February 2018 issue (VOL.66/NO.2) of Zeimu Koho. A book co-authored by Toji Yoshihiro, Ito Hiroki and other attorneys of Iwata Godo entitled "New Story of Shareholders' Meeting" (ShojiHomu Co., Ltd., 2017) is introduced in the article "Books Useful for Corporate Legal Affairs in Food Service Industry" of Business Law Journal No.119. Sato Shuji authored an article entitled "Supreme Court Decision for the Denso Case", which appears in January 2018 issue of Zeimu Kouhou. Sato Shuji and Mutou Yuuki co-authored with Yamashita Takashi, a licensed tax accountant, an article entitled "Introduction to Corporate Governance on Tax Matters (4): Approaches to the Prevention of a Penalty Tax Arising from Embezzlement by Employees"which appears in January 2018 issue of Business Houmu. Sato Shuji authored an article entitled "Tax Suits and the Supreme Court: Consideration of the Supreme Court Decision for the Denso Case" commenting on the Supreme Court's decision rendered on October 24, 2017 relating to the tax haven system, which appears in NBL No.1109. Sato Shuji and Karasawa Akira authored an article entitled "Case Where Monies Paid by a Parent Company to its Subsidiary Concerning Software Transactions Do not Fall under Contribution" which appears in December 2017 issue (Vol.65/No.13) of Zeimu Kouhou. Sato Shuji and Mutou Yuuki co-authored with Yamashita Takashi, a licensed tax accountant, an article entitled "Introduction to Corporate Governance on Tax Matters (3): Corporate Governance on Tax Matters to be Changed by Top Management" which appears in December 2017 issue of Business Houmu. Sato Shuji and Mutou Yuuki co-authored with Yamashita Takashi, a licensed tax accountant, an article entitled "Introduction to Corporate Governance on Tax Matters (2): Maintaining and Improving Tax Compliance through Review of Internal Control System" which appears in November 2017 issue of Business Houmu. Sato Shuji and Mutou Yuuki co-authored with Yamashita Takashi, a licensed tax accountant, an article entitled "Introduction to Corporate Governance on Tax Matters (1): The National Tax Agency's Approaches to Enhance the Corporate Governance on Tax MattersTax Matters" which appears in October 2017 issue of Business Houmu. This article will be serialized in seven consecutive issues. Sato Shuji's commentary titled "TSE Announces the Status of Appointment of Independent Outside Directors and Establishment of a Nominating Committee among Companies listed on the Exchange" is available on the Shoji Homu Portal Site. Sato Shuji authored an article entitled "Quick Report of Tax Precedents: A Case in which Patent-related Proceeds from Milestone Payment were Deemed as Miscellaneous Income" which appears in Jurist No. 1509. Kashiwagi Kensuke and Sato Shuji authored articles of a special feature entitled "Three Major Points of Revision of the Civil Code that Banking Office Staff Need to Know" which appears in July 2017 issue of Ginkou Jitsumu. Sato Shuji contributed a commentary on the taxation of executive compensation, etc. to the publication entitled "Lectures on Current Tax Laws (the 3rd edition): Companies and Markets" (supervised by Kaneko Hiroshi , chiefly edited by Nakazato Minoru and and others and edited by Masui Yoshihiro and others), which is published by Nippon Hyoron sha Co., Ltd.
Sato Shuji's commentary titled "METI Releases 'Guidebook for Introducing Incentive Plan to Achieve Sustainable Growth of Companies as Board Members' Compensation to Encourage Companies to Promote Proactive Business Management'" is available on the Shoji Homu Portal Site. A book co-authored by 34 attorneys of Iwata Godo including Toji Yoshihiro, Ito Hiroki entitled "New Story of Shareholders' Meeting" is published by ShojiHomu Co., Ltd.
Sato Shuji authored an article entitled "Tax Affairs Related to Reorganization and M&A Cases," which appears in February 2017 issue of Business Houmu, as part of one of the special features entitled "Key Points of Tax Affairs for Legal Department". Sato Shuji's commentary titled "Personal Information Protection Commission Officially Announces Guidelines in Response to the Amendment to the Act on the Protection of Personal Information'" is available on the Shoji Homu Portal Site. Sato Shuji, as an editor and co-author, and Hamasaki Yuki, Karasawa Akira and Konishi Takao, as co-authors, contributed to the book entitled "Useful for Practical Business- Legal Mind Required for Tax Affairs," published by Nihon Kajo Publishing Co., Ltd.
Sato Shuji authored an article entitled “Quick Report of Tax Precedents: A Case in which the Breach of Tax Accountant Corporation’s Obligation on Accountability to Clients was Affirmed” which appears in Jurist No. 1499. Sato Shuji's statement at a round-table discussion (that appeared in an article titled "Gap Between Legal Affairs and Tax Affairs in Tax Suits (I)" by Nakazato Minoru and others (NBL Vol. 1055, page 16) was referred to in judicial research official’s explanation on the Supreme Court Decision relating to a Well-known Tax Suit, Yahoo Tax Suit (that appeared in an article titled “Notable Judicial Precedent” (Jurist No. 1497, page 84)). Sato Shuji authored an article entitled "Taxpayer Winning Case over Appropriateness of Retirement Allowance" which appears in NBL Vol. 1081. Sato Shuji's commentary titled "Personal Information Protection Commission Seeks Public Comments on Proposed Ordinances and Rules in Response to the Amendment to the Act on the Protection of Personal Information" is available on the Shoji Homu Portal Site. Sato Shuji contributed a commentary on a transfer pricing tax case of motorcycle manufacturer to the publication entitled "Tax Law Hanrei Hyakusen (the Selection of 100 Statutes and Precedents) [the 6th edition]" edited by Nakazato Minoru, which is published by Yuhikaku Publishing Co., Ltd.
Sato Shuji contributed the recommendation preface to the book entitled “Learning from Reversed Court Decisions: Points to Be Considered in Fact-Finding and Burden of Proof” authored by Yasui Kazuhiko and published by Zeimu Kenkyukai. Sato Shuji authored an article entitled "Remarks on the Conclusions of Yahoo Tax Suit and IBM Tax Suit" which appears in NBL Vol. 1071. Sato Shuji's commentary titled "The Bank of Tokyo-Mitsubishi UFJ, Ltd. Receives a Notice of Designation of Oral Argument Date from the Supreme Court of Japan in Final Appellate Instance against the Argentine Republic as the Appellee" is available on the Shoji Homu Portal Site. Sato Shuji’s lecture entitled "My Experience at National Tax Tribunal and Analysis of Trend of Recent Tax Suits” appears in February 2016 issue of Sozei Kenkyu. Sato Shuji's commentary titled "Keidanren Publishes Materials for Information Session of Starting 'My Number' System Held on December 14, 2015" is available on the Shoji Homu Portal Site. Motomura Takeshi, Yoshihara Tomomichi and Sato Shuji co-authored "Corporate Legal Affairs and Judicial Precedents - Role of Shin Shoji Hanrei Binran to Play ," which appears in Shoji Homu No. 2084. Study Group of Financial Taxation System and Numbering System　(Chairperson: Morinobu Shigeki, Professor of Chuo Law School) in which Sato Shuji participates releases a report entitled "Toward the Expansion of Utilization of Social Security and Taxation Number (My Number) by Private Sector." A book by our office entitled "Commercial Judicial Precedent which Adds Color to the Period" (supervised by Kanda Hideki, Professor at the University of Tokyo Graduate Schools for Law and Politics, and recommended by Tsuda Hiroki , Chairperson of the Board of Directors of Japan Exchange Group, Inc.) is published by Shoji Homu Co., Ltd.
Sato Shuji authored an article entitled "Study of Taxpayers Winning Cases in Recent Tax Suits (3 - the final of the series) - Has the Court Changed Its Viewpoint?" which appears in NBL Vol. 1059. Sato Shuji authored an article entitled "Study of Taxpayers Winning Cases in Recent Tax Suits (2) - Has the Court Changed Its Viewpoint?" which appears in NBL Vol. 1058. A round-table discussion "Gap Between Legal Affairs and Tax Affairs in Tax Suits (II)," moderated by Professor Nakazato Minoru of Tokyo University (Chairman of Government's Tax System Study Council) and attended by Associate Professor Yoshimura Masao of Hitotsubashi University, Partner Hasegawa Yoshitaka of Deloitte Tohmatsu Tax Co. and Sato Shuji, appears in NBL Vol. 1057. Sato Shuji authored an article entitled "Study of Taxpayers Winning Cases in Recent Tax Suits (1) - Has the Court Changed Its Viewpoint?" which appears in NBL Vol. 1057. A round-table discussion "Gap Between Legal Affairs and Tax Affairs in Tax Suits (I)," moderated by Professor Nakazato Minoru of Tokyo University (Chairman ofgovernment's Tax System Study Council) and attended by Associate Professor Yoshimura Masao of Hitotsubashi University, Partner Hasegawa Yoshitaka of Deloitte Tohmatsu Tax Co. and Sato Shuji, appears in NBL Vol. 1055. Sato Shuji's commentary titled "Judgment of the Supreme Court, the Second Petty Bench, a Case Where a Request for Revocation, etc. of Reassessment of Income Tax Pertaining to a Silent Partnership Contract Was Granted" is available on the Shoji Homu Portal Site. Sato Shuji authored an article entitled "Official Notice and Lawsuit - Taxpayers Winning Cases over the Official Notice" which appears in Zeimu Kouhou VOL.63／NO.6 published by CHUOKEIZAI-SHA, Inc.
Sato Shuji authored an article entitled "Corporate Tax - On 'Contributions', Often Likely to Become an Issue in Tax Investigations" which appears as a part of a special edition of Business Homu Vol.15 No.7 entitled "A Walkthrough on Tax Law Provisions & Latest Legal Precedents". Sato Shuji's commentary titled "Decision by the Supreme Court, Third Petty Bench - Case on Necessary Expenses related to Losing Horse Race Tickets " is available on the Shoji Homu Portal Site. Wakabayashi Shigeo, Toji Yoshihiro, Motomura Takeshi, Yoshihara Tomomichi, Ueda Atsushi, Sakamoto Tomoko and Sato Shuji co-authored "The Sixty-Year History of Shin Shoji Hanrei Binran - Looking Back on Court Decisions which Added Color to the Period," (I)-(IV) which appear as a four-part article series in Shoji Homu No.2056-2059. 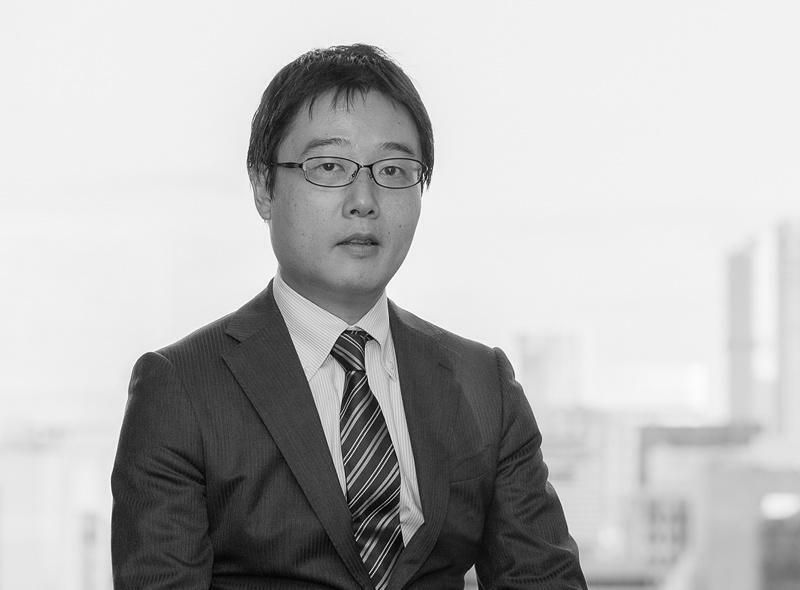 Sato Shuji authored an article entitled "A Case in Which Account Processing Performed as Part of Liquidation Transaction by Tax Withholder was Deemed Legitimate under the Corporate Tax Law" (quick opinion about tax) which appears in Jurist No. 1475. Sato Shuji's commentary titled "National Tax Agency Publicly Announces "Summary of Numbering System for Business Operators Required to Submit Statutory Report and Withhold Income Tax" is available on the Shoji Homu Portal Site. Sato Shuji's commentary titled "Yohinoya Holdings, on Recommendation Issued by the Japan Fair Trade Commission to its Subsidiaries" is available on the Shoji Homu Portal Site. Sato Shuji’s comment appeared in the article entitled “Taxation Bureau Points Out Shionogi’s Failure to Declare Taxes of 40 Billion Yen: Shionogi Says It ‘Consulted Bureau in Advance’ so Plans to Appeal” on page 43 of the morning edition of Nikkei Newspaper (Osaka version) dated September 13, 2014. Sato Shuji's comment was introduced in the article titled "Transfer Pricing Taxation - National Tax Agency Steers Toward Communication Strategy, While Businesses Remain Skeptical" in the morning edition of the Nikkei newspaper on November 27, 2017. We welcomed a new attorney, Sato shuji.